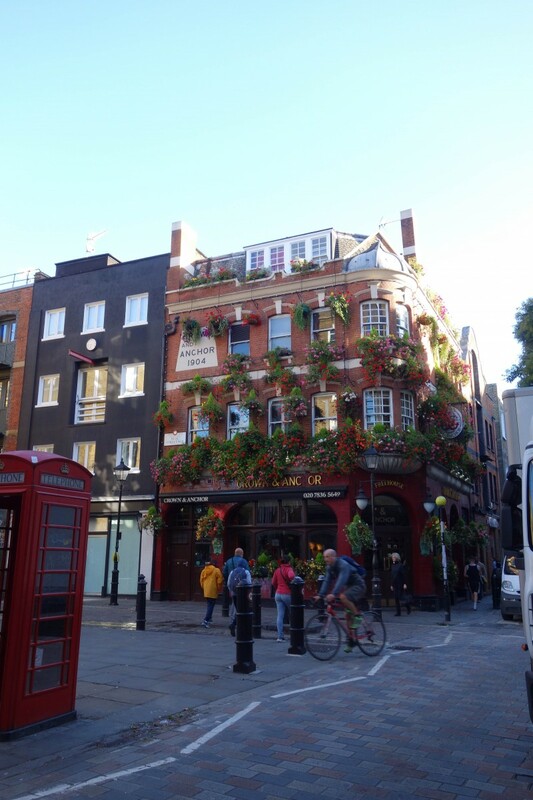 Covent Garden is a must visit place for anyone visiting London. If you read this post then you’ll know there are 5 very good reasons why. 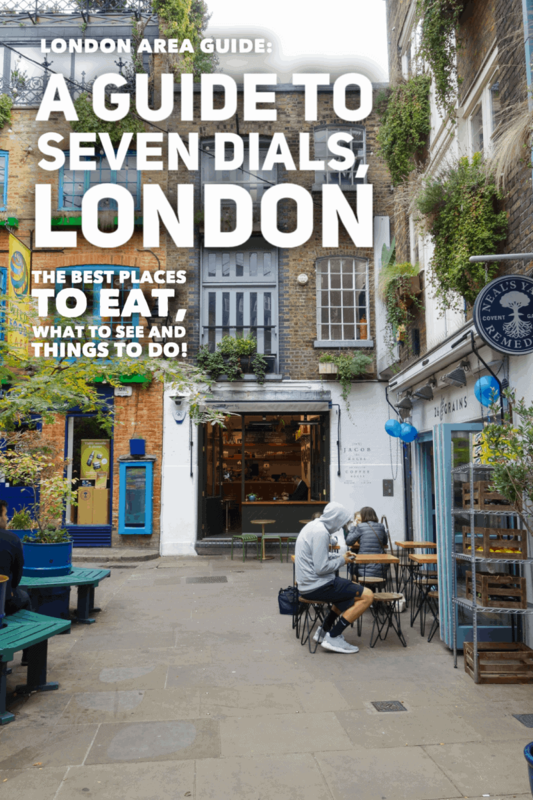 Now I’d like to tell you a bit more about Seven Dials, a little area just off Covent Garden that is a gem all by itself and doesn’t get enough credit! 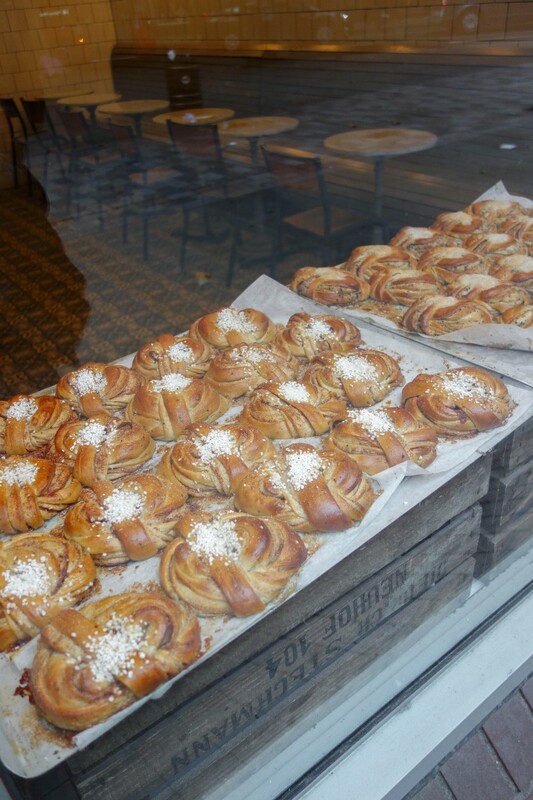 Before any good tour, a good breakfast and a coffee is always a must, right? 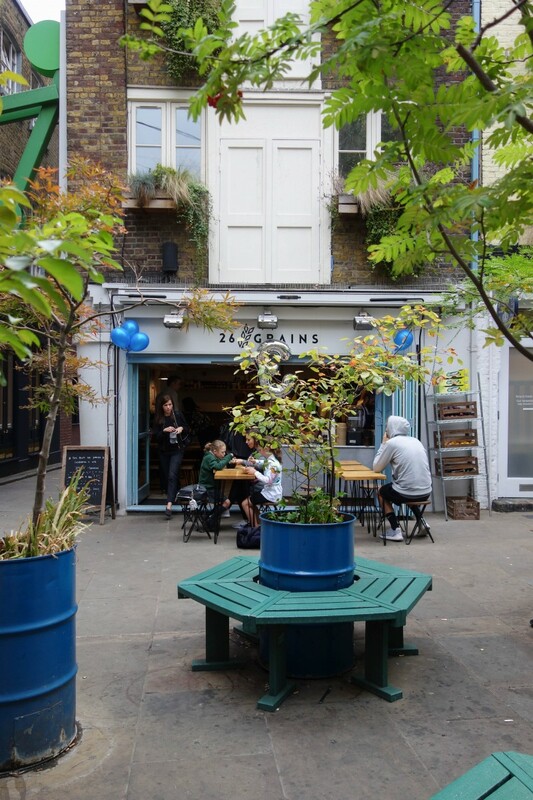 So, before we get into the post, we start at Timberyard on the edge of Seven Dials – A coffee shop, brunch spot, and workplace that was voted the best independent coffee shop in Europe. 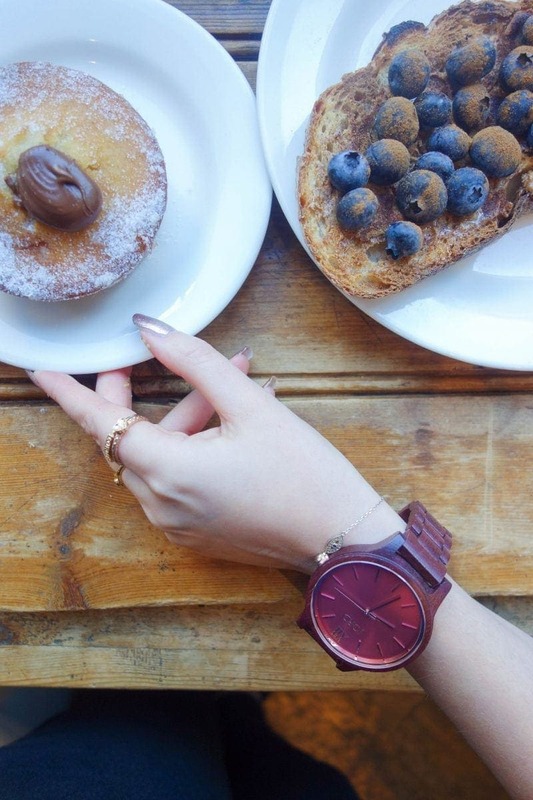 JORD Watches have very kindly sponsored this blog post. 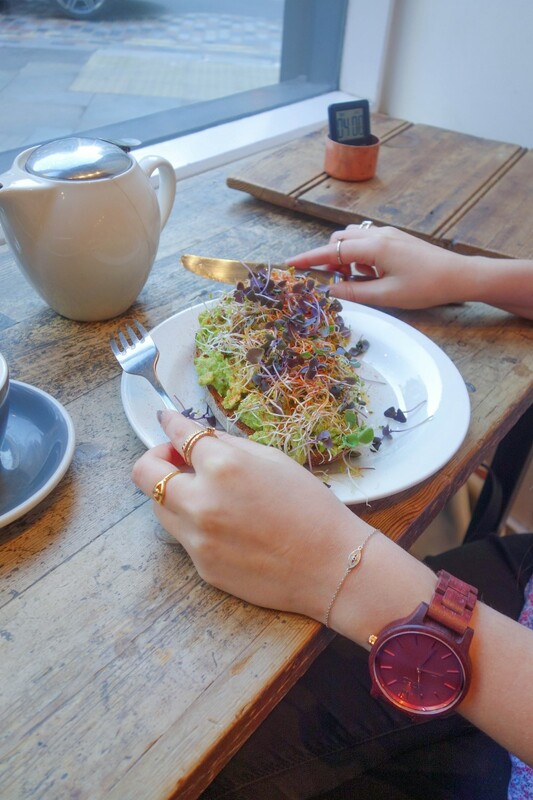 They are a luxury, all-natural wooden watch brand that does gorgeous designs for both men and women and I hope you’d agree it’s pretty beautiful. 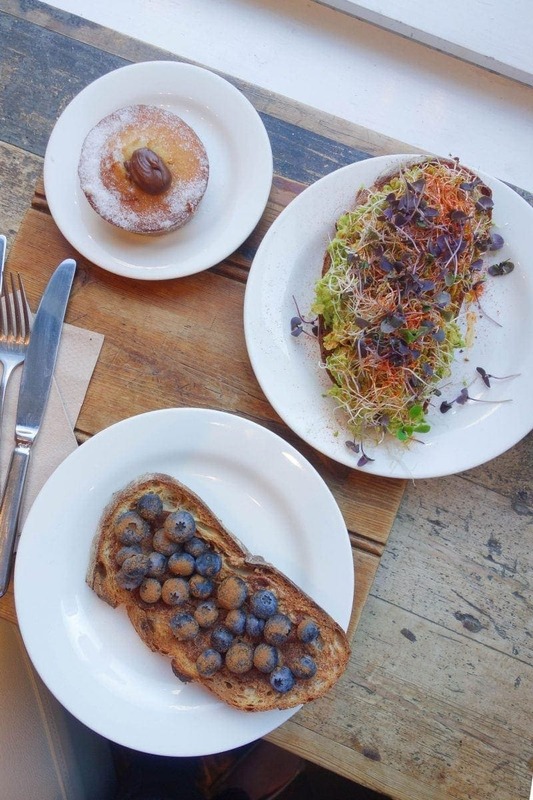 Especially paired with Timberyards toast, tea, and their Nutella cronut! As I said, Seven Dials doesn’t get enough credit. 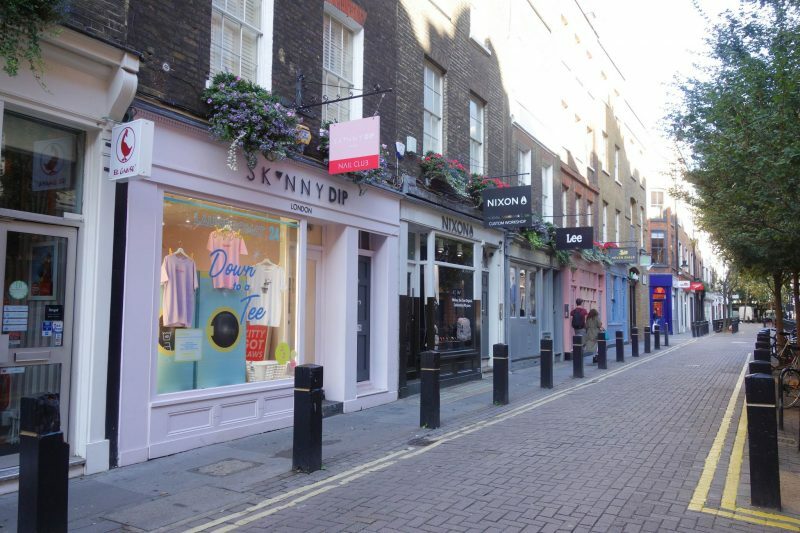 It’s made up of just 7 small streets that link Covent Garden to Soho and each one is full of great places to shop, even better places to eat and lots of things to do. 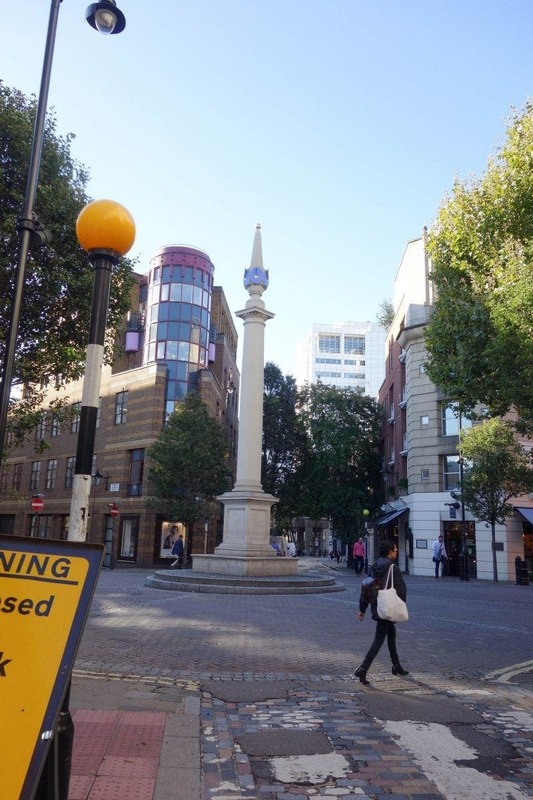 Londonist has put together this great article about the 7 secrets of Seven Dials which is worth a read if you want to know more of the history. So to go with my last blog on 5 Reasons to Visit Covent Garden, here is your complete guide to exploring Seven Dials! 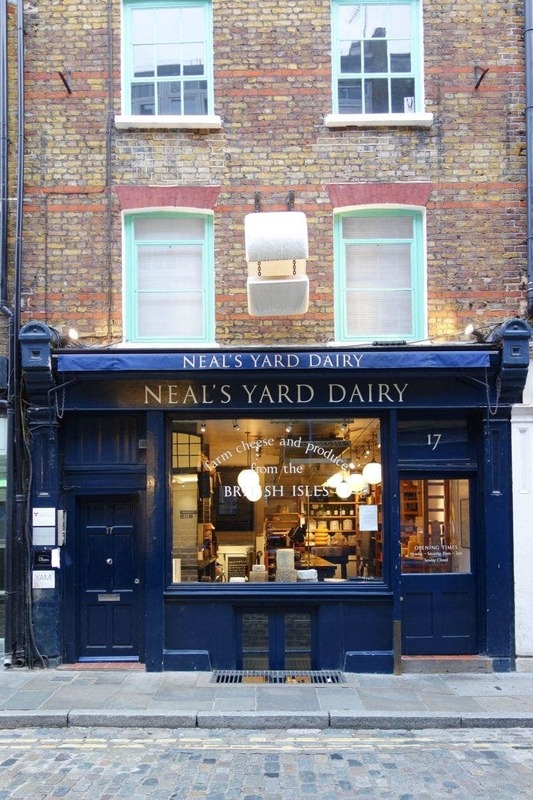 Neals Yard is a hidden courtyard right in the centre of Seven Dials. You won’t find it if you’re not looking for it but you certainly won’t miss it once you’re inside. 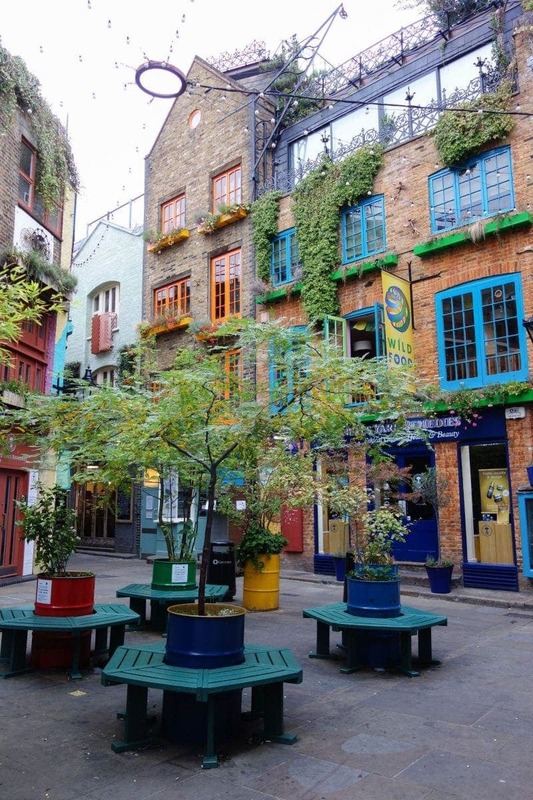 This vibrant, colourful corner was created in the 17th century by developer Thomas Neale and since then has become one of the most loved and photographed spots in London. 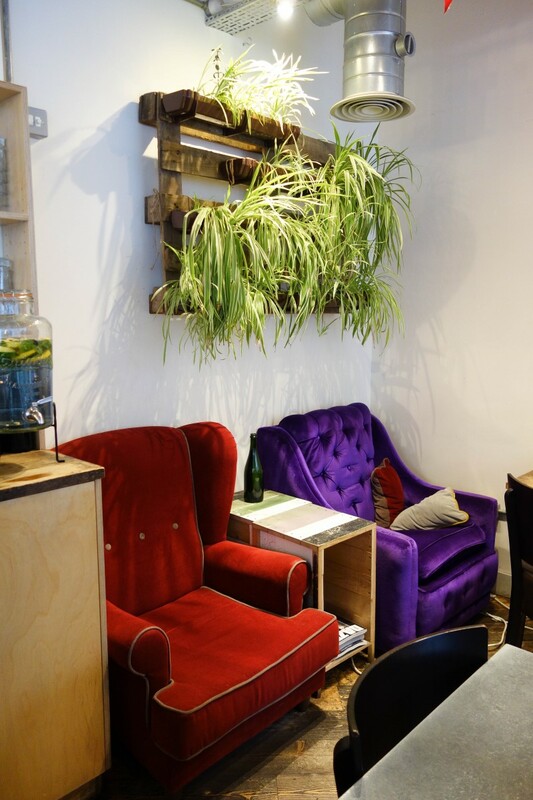 It might be small but there’s a good handful of independent restaurants, shops, and coffee shops – some of the ones I love I’ve listed below. It does get busy so my tip would be to go early to take it all in properly. 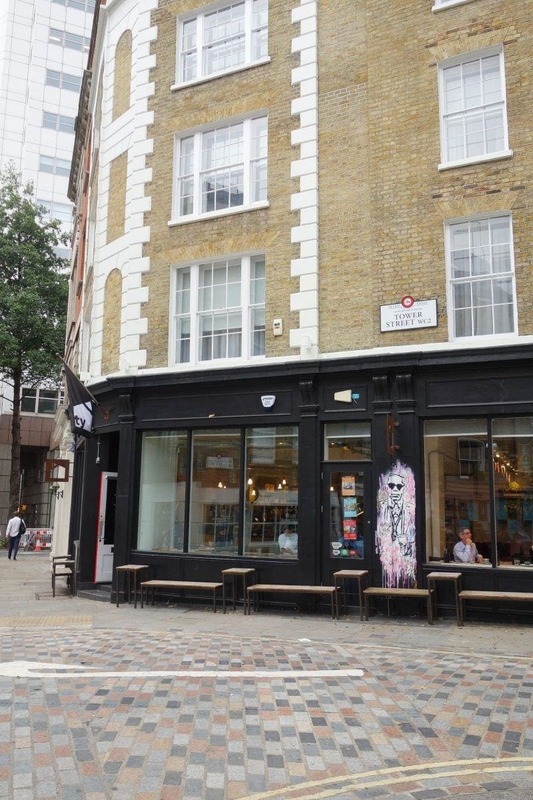 The Drinking Holes: Seven Dials Pubs and Bars. 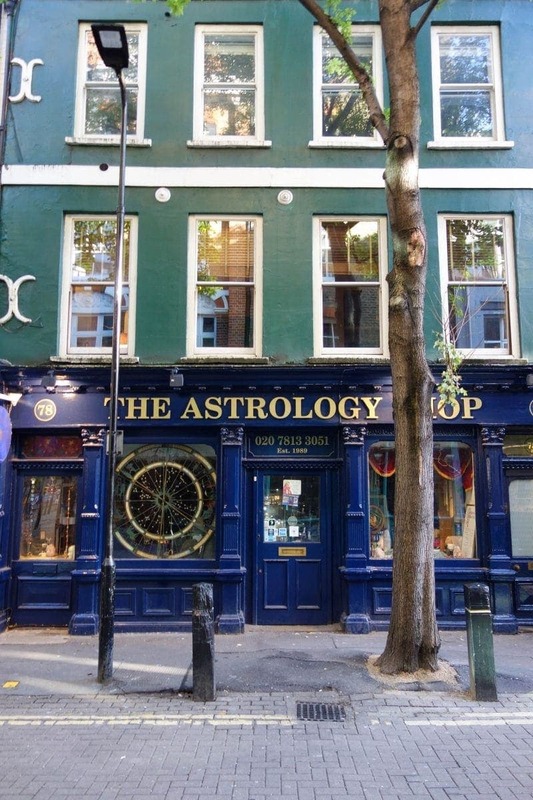 Pubs are a British staple and nowhere does them better than London. 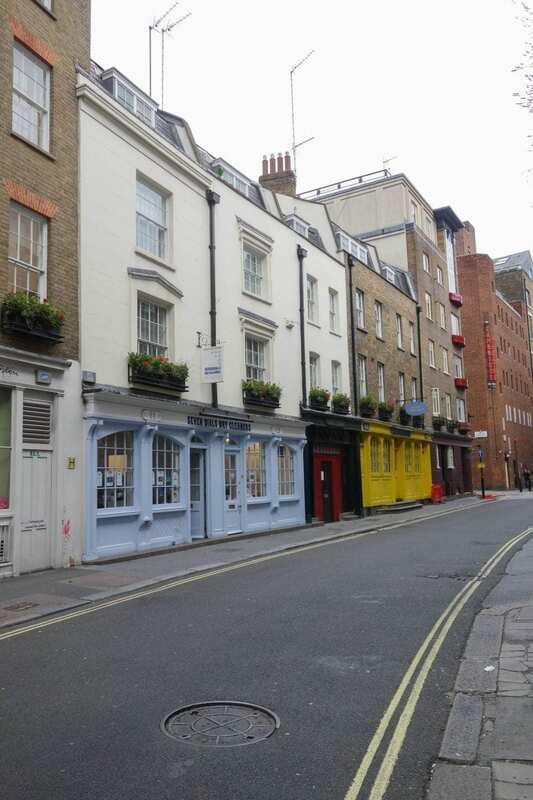 Seven Dials has some beautiful 19th century and real ale pubs that serve up a proper pint and some good old pub grub. 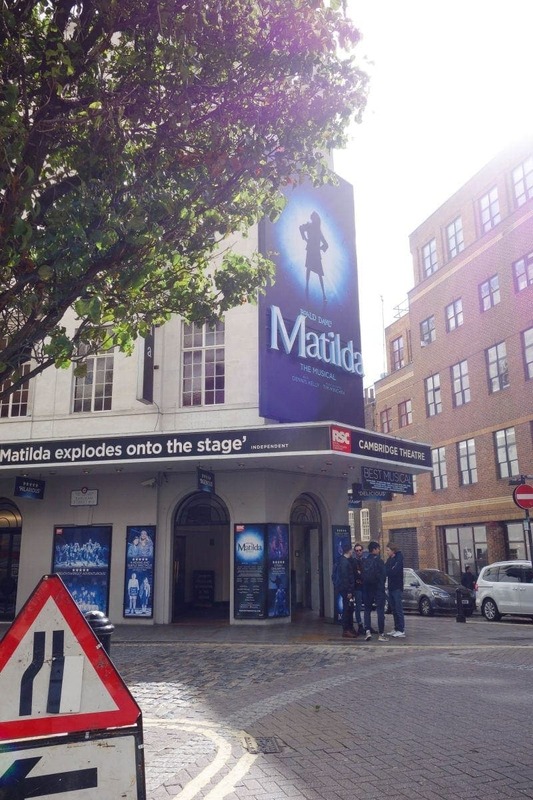 You can while away the day on a rainy London afternoon or as real Londoners do is stand outside to watch the world – whatever the weather! 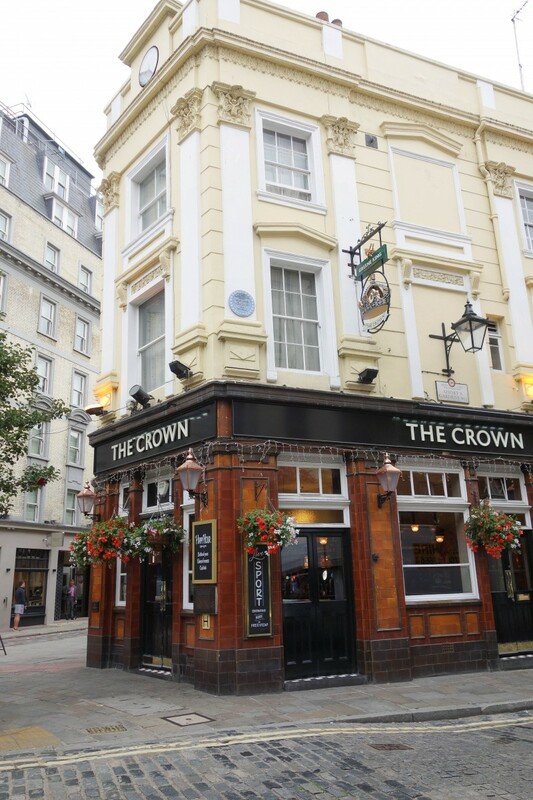 Check out: The Crown, The Two Brewers, The Crown & Anchor, Brewdog. 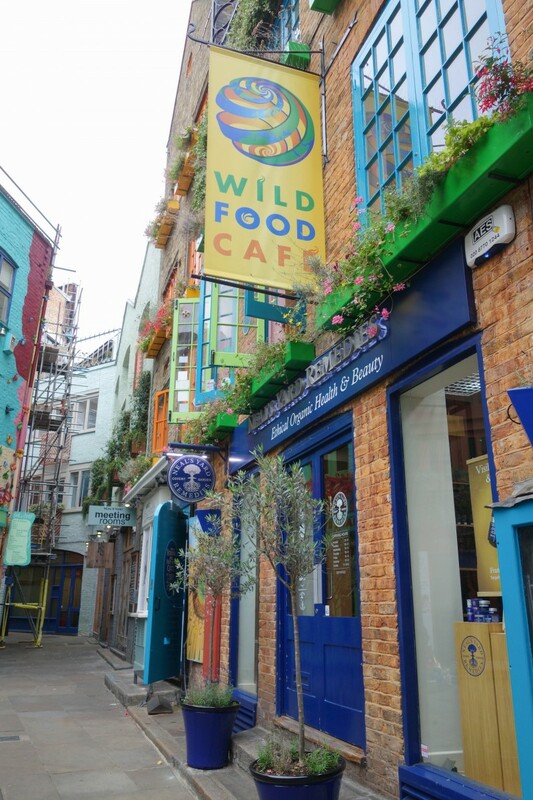 It might only be a few streets wide by Seven Dials has got so many great places to eat you’ll actually be a bit spoilt for choice. 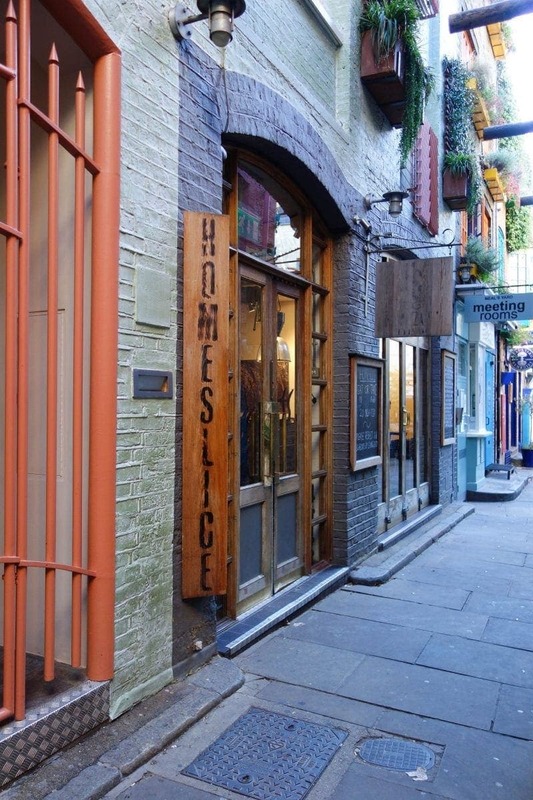 Neals Yard is home to huge 20-inch pizza’s at trendy pizza place Homeslice or grab a slice for just £4. 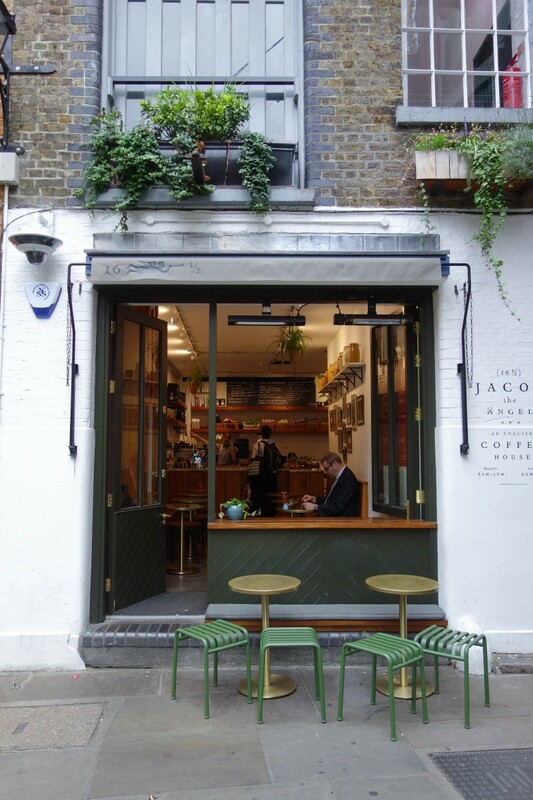 You can also pit stop at Jacob the Angel for one of their coconut cream puddings (It’s so good!). 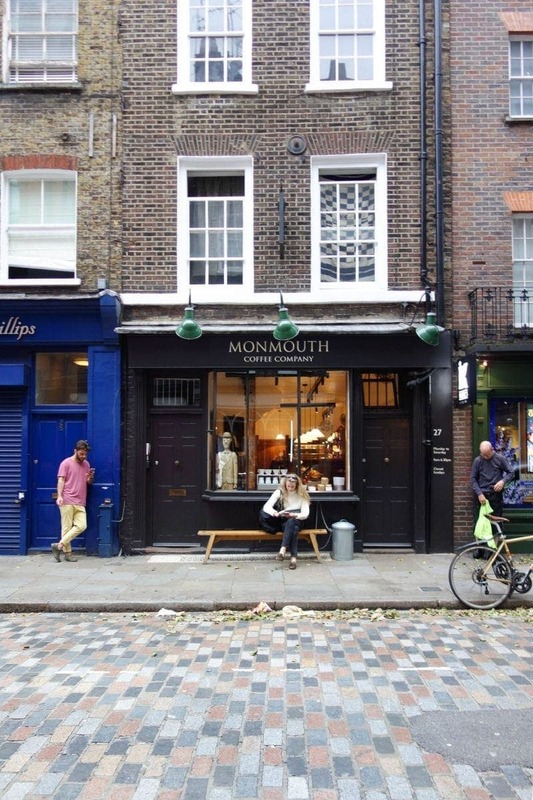 On the joining streets, there’s the famous coffee shop Monmouth Coffee and my personal favourite Hawksmoor which does the best steaks in town. 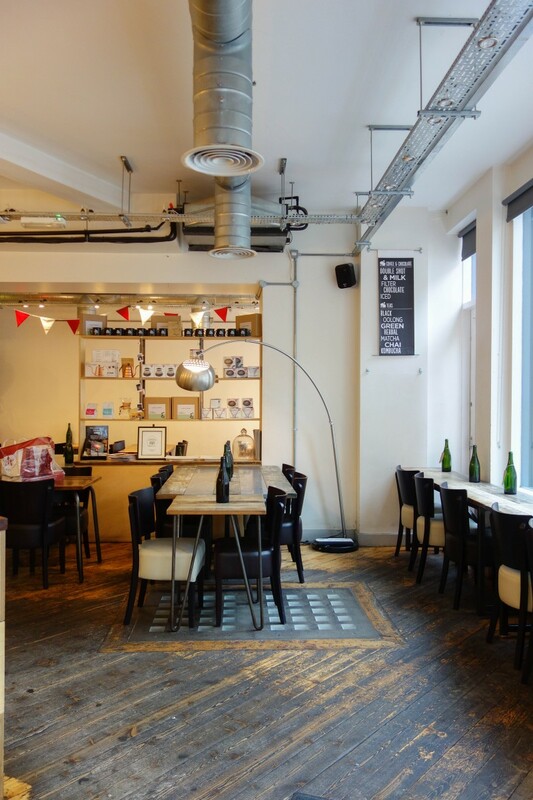 It made my top 10 special occasion places in London which you can find here. Check out: Monmouth Coffee (Coffee Shop), Fabrique (Swedish Cafe), Balans, (European), Hawksmoor (Steak), Punjab (Oldest Indian in the UK), Neals Yard Dairy (Cheese Shop), Belgo (French). 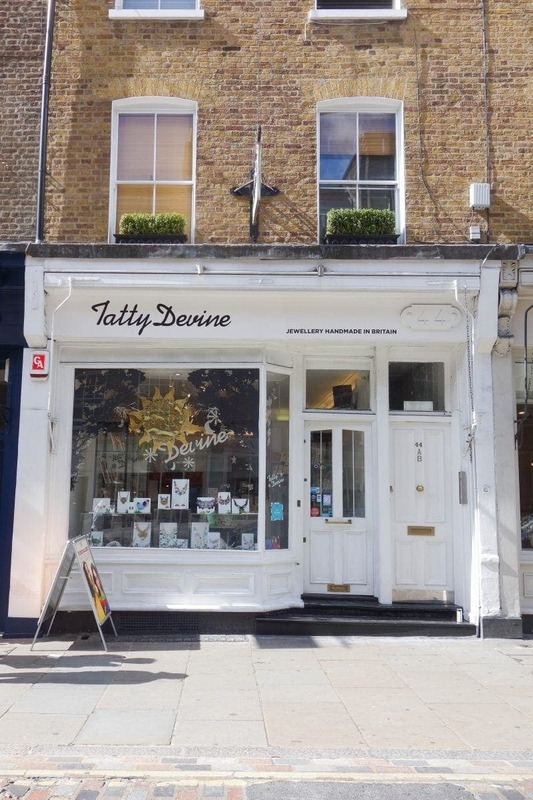 Seven Dials is not short on places to entertain yourself. 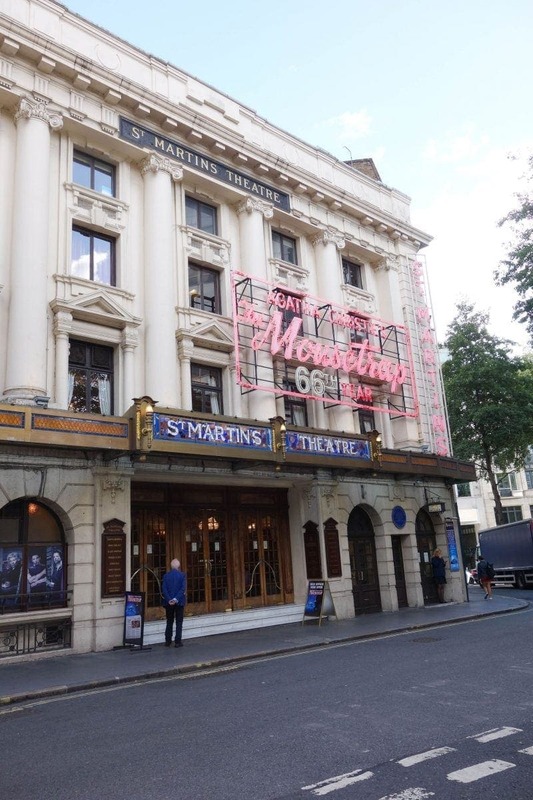 It’s home to 5 of London’s best theatres including London’s longest ever running musical The Mousetrap which has been going for 42 years! 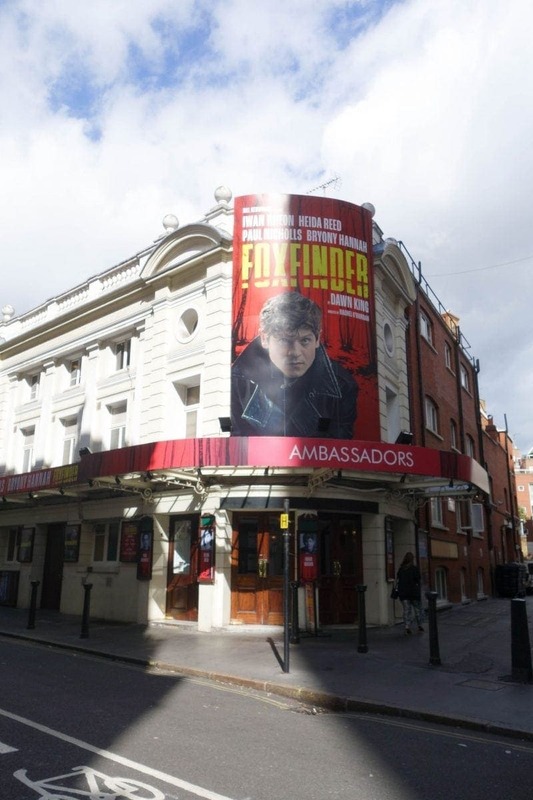 Click on the theatres below to see what’s on. 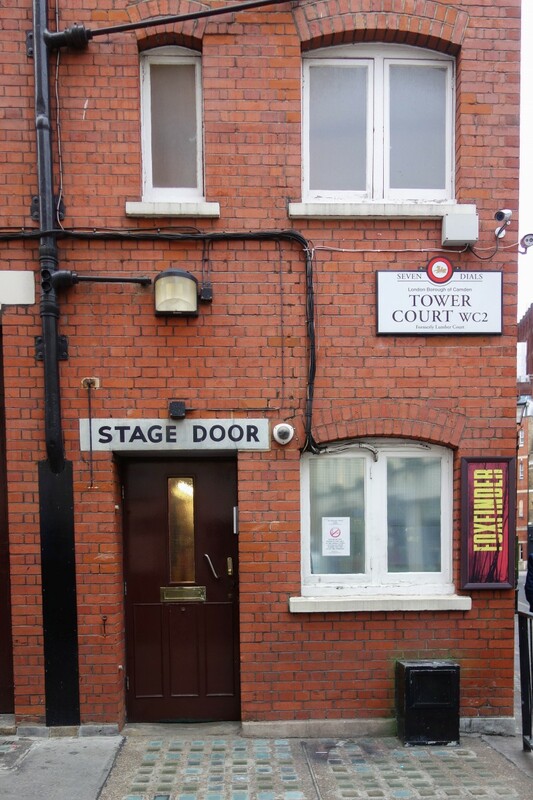 Check out: St Martins Theatre, The Ambassadors Theatre, Cambridge Theatre, Donmar Warehouse, Tristan Bates Theatre. 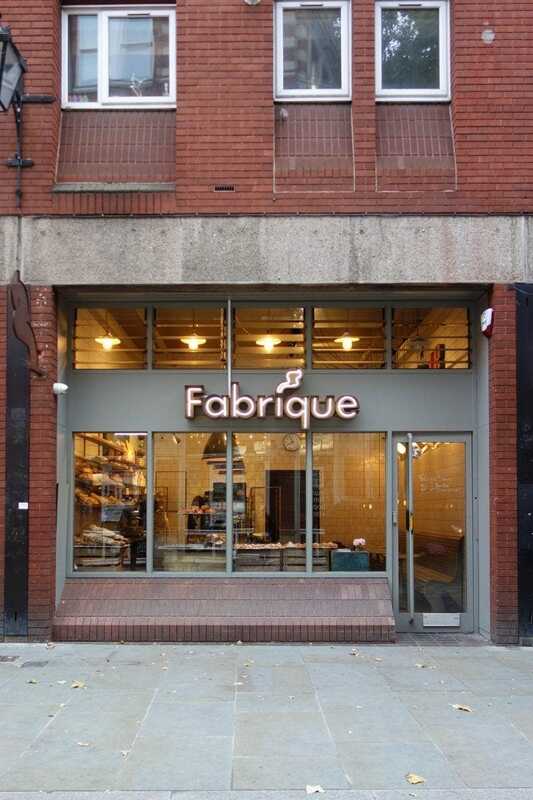 If shopping is your thing you’re in the right place. 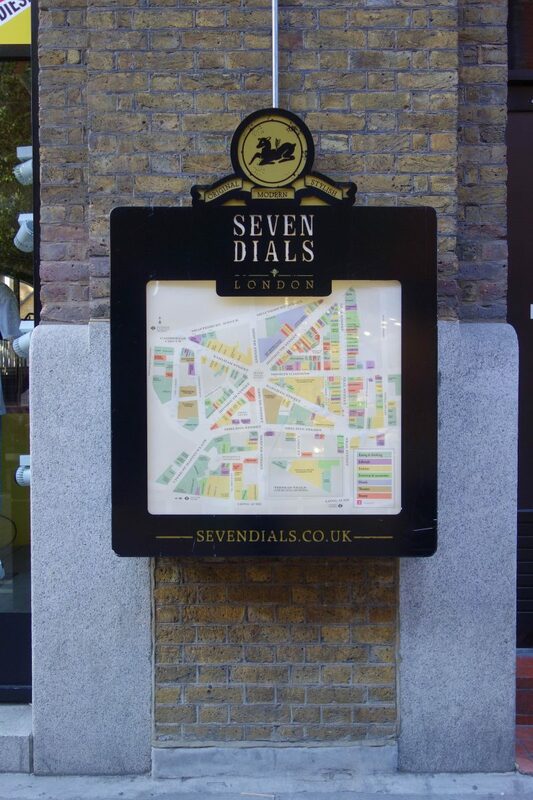 Seven Dials is home to nearly 100 bespoke boutiques, shops and lifestyle outlets. You could definitely spend a few hours getting around all of these and it’s a great alternative to Oxford Street which gets super busy and where the shops are not so unique as here! 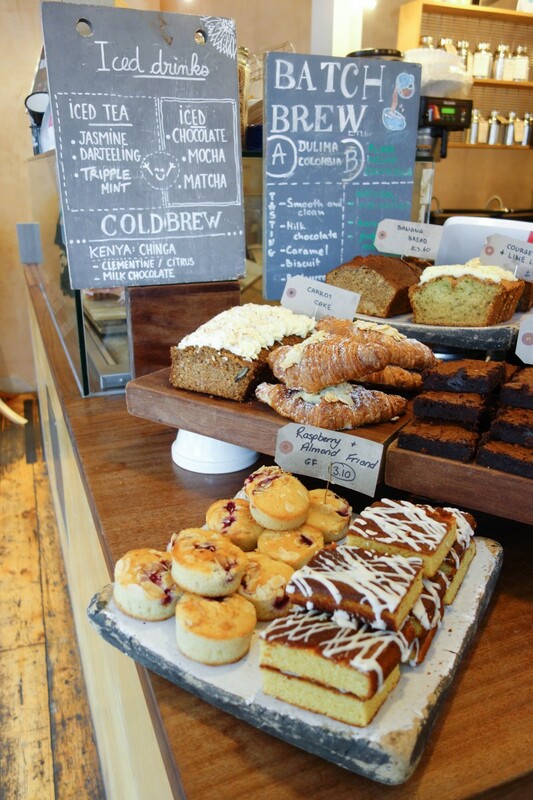 Plus there are so many options for that post-shopping coffee and cake! 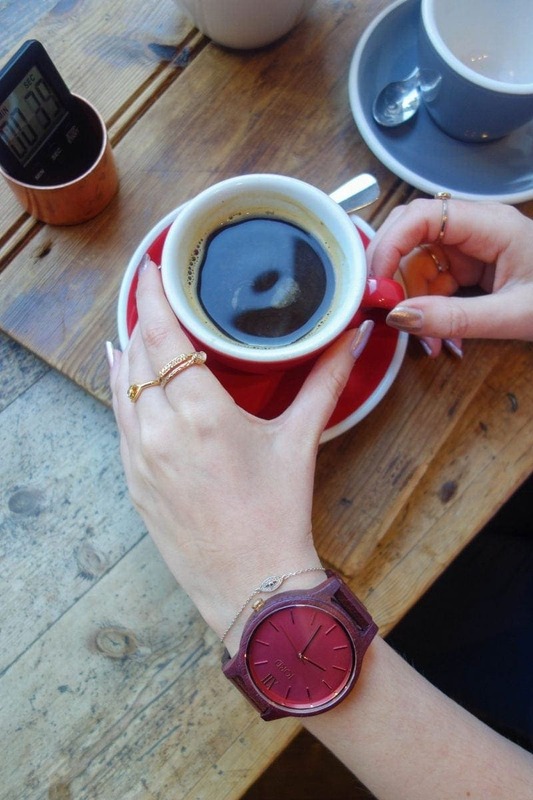 If you’d like to get your hands on my lovely pink watch click here, or to check out the rest of their collection click here. 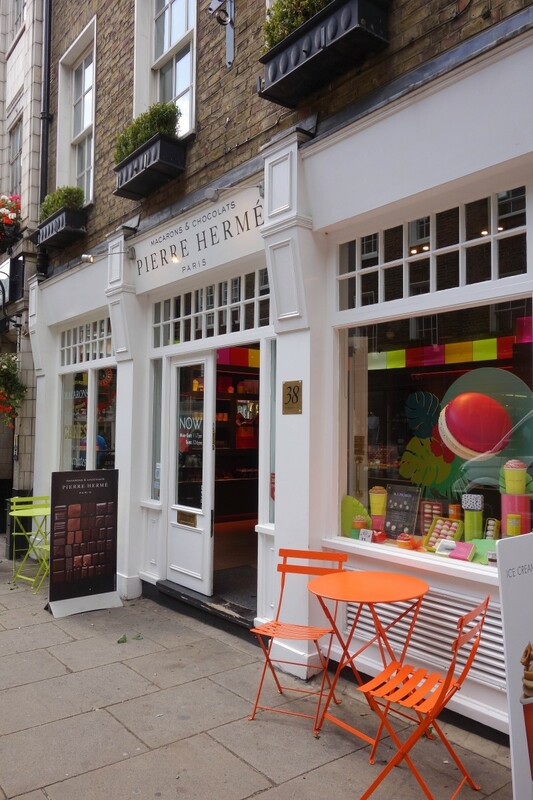 Previous Post I Tried London’s Best Cookie & This Is What Happened!